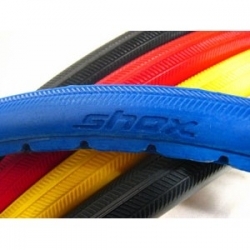 Shox Solid Wheelchair Tyre - Non Marking. These tyres can be fitted to a number of wheels including Spinergy’s, X-Core, Round Betty,Topolino and Tensio wheels but are unsuitable for some wheels. Very good material´s quality, Excellent grip!